Stepping into a church for the first time can often be intimidating, awkward, and uncomfortable for some people. 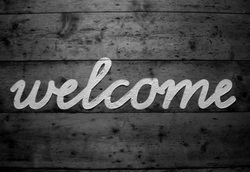 When you are a guest at Anew Church you can expect to feel welcomed and accepted just as you are. Anew Church is a relevant, friendly, and casual church that is filled with singles, families, children, teenagers, babies, and adults of all ages. Come dressed how you feel most appropriate to worship God. For some that may be a suit and tie for others it may be slacks and a dress shirt. However, at Anew Church most people dress casual; (i.e. Jeans and a T-Shirt). For various reasons people often want to know how long "church" will last. We strive to keep the service time under 70 minutes. In the Lobby: When you arrive at Anew Church just inside the Lobby area you'll find a various variety of items such as Coffee, Water, Lemonade, Tea, Doughnuts, Pastries, and various other snacks. What's the Price You Ask? Free of Charge! For the Kids: Anew Kidz Krew and Anew Sprouts	For children Pre-school up to third grade they can take part in our vibrant Kidz Krew kids group. For children ages 0 - 3 may join the Anew Sprouts nursery. Music: We use contemporary music that consists of uplifting songs of praise and worship to God. God's Message: Our messages may come through various means. Sometimes we use video teachings, sometimes we have live preaching and teaching, but whatever method of message that God desires to use, when you visit we hope that you find it inspiring and uplifting. Tithe's & Offerings: Part of our worship at Anew Church is done by giving a tithe back to God. Tithe literally means tenth. We believe that the tithe is a biblical mode of worship so we use this moment to continue worshiping God by giving back a portion to him. Guests, we would feel honored if you returned your connection card in the offering basket. Please don't feel pressured to give anymore than that.